Limited Pre-Sale starts this week! All information here in the event! 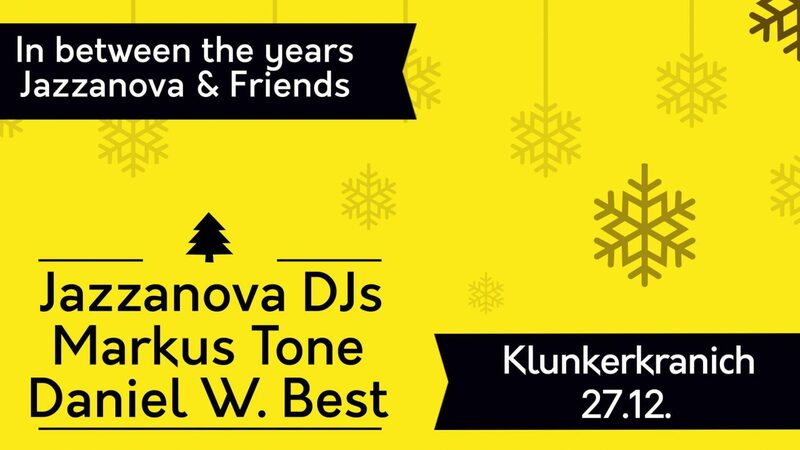 After their amazing Klunkerkranich-debut in August, Jazzanova are returning to our rooftop. Jazzanova DJs Alex Barck and Juergen v. Knoblauch celebrating a a warm musical hugh for homies, home stayers and home comers between the years and as well as a review of 2018, which has been important with their latest album release „Jazzanova – The Pool“ and many remixes and works around. With them will share two good friend the decks for the night over tops of Berlin, Daniel W. Best and Markus Tone. Can´t wait!